Since 1986 Mt. 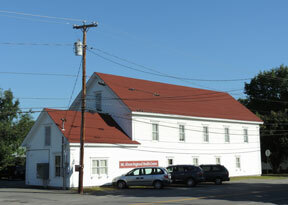 Abram Regional Health Center has been serving residents of all ages in Kingfield and surrounding communities. At our health center, the top priority is the wellbeing of our patients. Our staff works with patients to create a ‘medical home’ and the best care possible while utilizing state-of-the art knowledge and technology. Click here to learn more and to watch a video: Patient-Centered Medical Home. Our team includes medical providers, behavioral health consultants, a psychiatric mental health nurse practitioner, as well as clinical and administrative support staff. We offer check-ups for the entire family, care of acute and chronic conditions and referrals to specialty care and community services. The health center also receives ongoing support and feedback from the Mt. Abram Regional Health Care Corporation, a community board of committed local residents. Serving Kingfield, Carrabasset Valley, Coplin, and Dallas Plantations, Eustis, New Portland, and Stratton, the health center is in close proximity to Sugarloaf Ski Resort, the Ski Museum of Maine, and the Stanley Museum. Kingfield is a close knit community with its Annual July Kingfield Festival Days. It also is known for moose watching, fishing, canoeing, kayaking, swimming, hiking, ATV riding, snowmobiling, and skiing.